Guess What books are designed for children ages 3-7 and are written in clever, four-line rhyming clues that describe people, places, and things within a specific theme for each book. After reading or hearing the clues, turning the page reveals a colorful illustration that lets the reader know if they guessed the object correctly. With little-known facts woven into some of the clues, Guess What books provide a fun, learning experience. The most unique aspect of the series is that all of the main illustrations are drawn by Kids Around the World whose artwork is selected through a worldwide contest. To date, young artists from Australia, Poland, Italy, India, and many U.S. states have had their illustrations featured in the books. Guess What is in the Ocean? is the fifth book in the series. Children learn about sea life as well as other objects that may be in the ocean or on the shore. The final rhyme is a reminder that we all need to help our environment and keep our oceans clean. 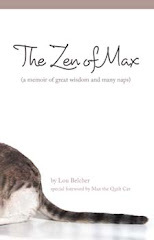 This book won the #1 spot on The Gittle List. 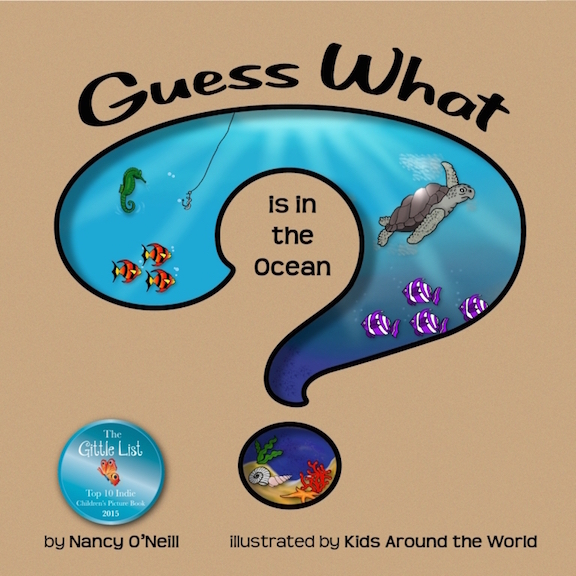 Part of the proceeds from Guess What books helps support Rady Children’s Hospital in San Diego, California. Nancy O’Neill is an award-winning author who grew up on a farm in the middle of North Dakota. She admits having to do a lot of research for this ocean book but learned a lot in the process. She appreciates her Midwestern background which she feels is the solid foundation for her lifelong accomplishments. She has always gravitated toward anything creative but also likes tech-related challenges even though she grew up long before the technology era. Nancy published her first Guess What book in 2012 and within four years, she had five books in the series along with a coloring book. In 2016, she took a giant leap and published her first adult fiction novella, Her Way Out. She enjoys being a mom, wife, author, and entrepreneur. Nancy lives in Southern California with her husband. Even though she’s only about ten miles from the ocean, she still can’t swim and is much happier relaxing on the beach or by the pool. See Nancy anther books this weekend at the Meet the Authors Book Fair at the Eau Gallie Civic Center in Melbourne, Florida, on November 19 and 20. Guess What Books an also be purchased through Amazon.